It was a Monday morning in the middle of April 2016, the weather in Norway was beautiful. 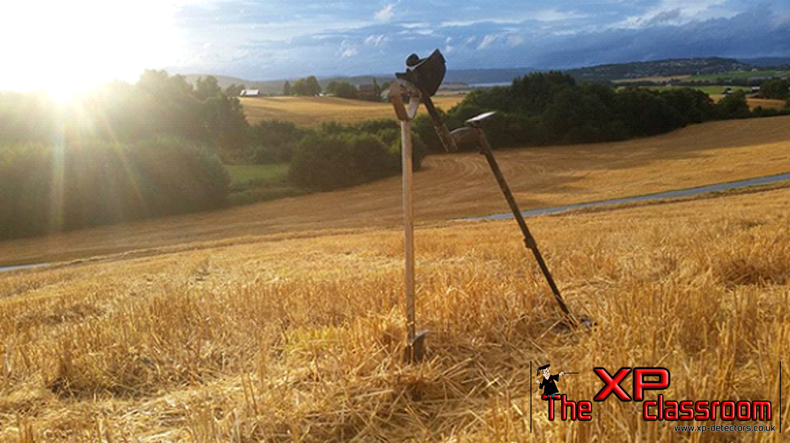 I woke up really early desperate to try out my new XP Deus metal detector. I decided to pay a visit to a local permission, it was all grass and used for grazing animals. Over the years I have visited this farm with many different machines. After a couple of hours I really started to understand the Deus and started to use different settings, it wasn’t long before I heard a really sweet high tone. I carefully cut a plug of grass and placed my pin pointer in the hole, at the bottom just appearing out of the dirt was a shiny object. Yes Silver !! I screamed, I could see it was a pendant made out of an old coin…But what was it ? I took some pictures using my phone and sent them to a good friend who is a coin expert, less than 2 minutes later he rang me with a lot of excitement in his voice. Johann…Do you know what you have found !!! I replied “An old coin but I don’t know how old”….He answered you have a Miliaresion, Constantine VII & Romanus (913-959), and this is only the 6th coin of this type ever found in Norway. Harald Hardrada was according saga tradition son of King Sigurd Syr Ringerike and Åsta Gudbrandsdatter, who also was St. Olaf’s mother. At the age of 15 Harald fought with his half-brother Olav at the battle of Stiklestad. After the battle he have fled to Gardarike and then on to Constantinople, where he worked for the Byzantine emperor in 1034. For several years, Harald fought for the emperor in Sicily and Bulgaria, and eventually served as one of the emperor’s bodyguards. When he returned home to Norway, he had accumulated great wealth. On the return journey through Gardarike he married Grand Duke Jaroslav’s daughter EllisivSo. The only way the pendant could have come to Norway is from Harald or one of his army who possibly dropped it passing through the small village of Ronglan. My head was in the clouds, still shaking with excitement I called my friends and family to tell them the good news, the program I used on the day was Gary’s sifter program.